Valet entrance of ilani Casino Resort, as seen from NW 31st Ave. and NW Cowlitz Way, Ridgefield, Washington. As ilani Casino Resort welcomes thousands of guests through the doors of its 368,000-square-foot entertainment and gaming resort each day, it takes more than luck to keep guests comfortable during their stay. 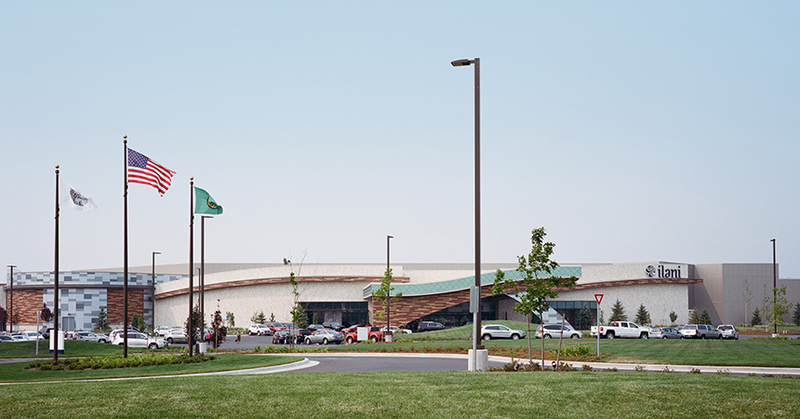 The Cowlitz Indian Tribe’s 150-acre reservation in Ridgefield, Washington opened in April of 2017 and includes nine restaurants, numerous bars, a theater, lounge, gaming space, banquet halls and retail space. Visitor satisfaction was a top priority when constructing the resort. With the help of incentives from Energy Trust of Oregon, the Tribe was able to invest in energy-efficient equipment prior to construction. 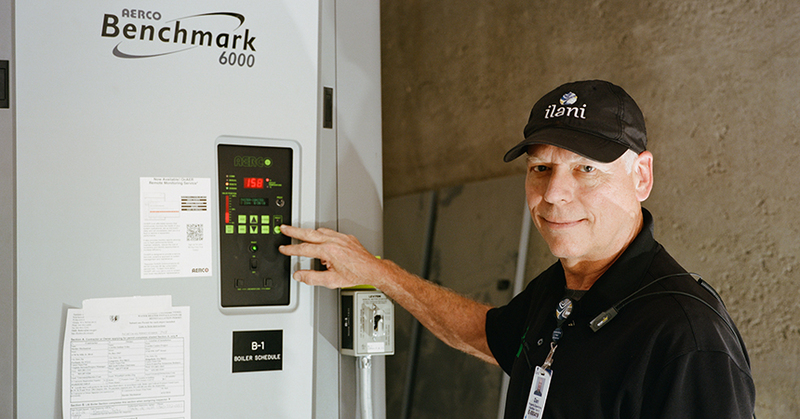 “Energy Trust showed us how investing in energy efficiency upfront would significantly reduce our energy use and lower costs from day one,” said Jeff Young, ilani’s director of facilities. 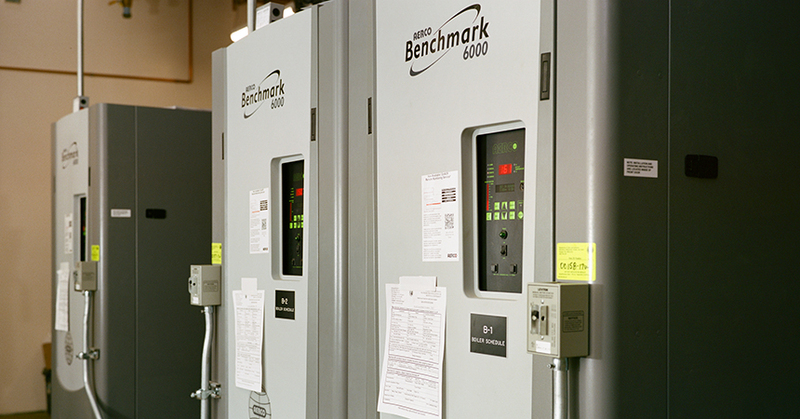 ilani Casino Resort purchased and installed three High-Efficiency Condensing Boilers. These meet thermal efficiency requirements and are gas-fired. The Tribe is already saving more than $41,000 each year on energy costs and the casino’s energy-efficient boilers require less maintenance than standard models, freeing up facilities staff to focus on other ways to keep the casino looking and feeling like new. Young said that it couldn’t be easier to work with Energy Trust. “Our Energy Trust team was 100 percent invested in our project and was so helpful in guiding us through the entire process.” The Tribe plans to work with Energy Trust on energy-saving opportunities for a new convenience store located down the street from the resort. “They work hard to ensure we benefit from the maximum amount of incentives.” Learn how cash incentives from Energy Trust can make energy-efficient upgrades and increased customer comfort more affordable for your business. Dan Lincoln, building employee, ilani Casino Resort, demonstrates the control panel on a High-Efficiency Condensing Boiler. Find out how Energy Trust can help your business benefit from incentives to install energy-efficient equipment in your next project.